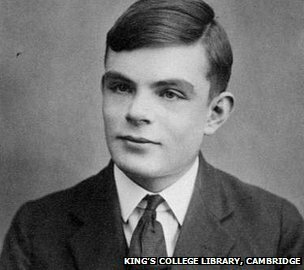 Alan Turing Pardon – what does it mean? On 24th December 2013 it was announced that Chris Grayling had procured a Royal Pardon for Alan Turing. Last month we looked at what a pardon is (and is not), but we will have a quick cut and paste of that document, together with some edits, to explain what today’s announcement means. What does a pardon do? A pardon ‘removes from the subject of the pardon all pain, penalties and punishments ensuing from the conviction but does not eliminate the conviction itself’ (R v Foster  QB 115). This means that someone who is serving a sentence will be freed from prison or whatever sentence they are serving, but the conviction is still there. So, if someone is pardoned for a drink drive offence, and is convicted of another one within 10 years, they will be liable to the ‘enhanced’ 3 year minimum ban rather than the ‘usual’ 12 month one. In this case, Mr Turing is of course deceased. He still remains convicted of the offence in the eyes of the law, but any legal opprobrium attached to it is wiped away. Can you pardon someone who is dead? Definitely. 306 soldiers executed for ‘cowardice’ offences in the first world war were pardoned by an Act of Parliament (s359 Armed Forces Act 2006). The exact legal status of this is unclear as it specifically states that it is separate to the prerogative of mercy and is stated not to ‘affect any conviction or sentence’. There are other examples – Timothy Evans who was pardoned in 1966, sixteen years after he was executed for murder, when it was clear that he was innocent and Derek Bentley who was conditionally pardoned in 1993 (relating to the sentence of death only). In 1998 his conviction was overturned posthumously by the Court of Appeal. That judgment is a good one to read if you want more information on the history of this area of law. This is actually a complicated area. Under the law at the time (s11 Criminal Law Amendment Act 1885) it is clear that Mr Turing was rightly convicted. The issue now is not that he was innocent of the crime with which he was charged (Gross Indecency), but that he was prosecuted for something that should not be a crime. The ‘powers that be’ were concerned that if Mr Turing were pardoned then this opens up the floodgates for campaigns for everyone back to Guy Fawkes and before to be pardoned. The bigger issue though is that there are plenty of people alive who were prosecuted for these offences and there appears to be a ‘concern’ that a pardon for Mr Turing will lead to calls for all these other men to be pardoned, and claims for compensation to be made. It seems to me that this is exactly what a pardon was originally designed to be for. The Court of Appeal is there to correct legal errors, the Pardon can right moral wrongs. It is important that we recognise that thousands of people still alive were convicted on the basis of laws that we today regard as indefensible (I have dealt with several people), and it seems to me that we should have started with those. But in the spirit of Christmas Cheer, I will celebrate this decision of the Government. This entry was posted in In the news on 24/12/2013 by Dan Bunting. Who are you calling “we”? Don’t include me, please! Maybe so, or maybe not. But you said that everybody regarded making such acts illegal as “indefensible” – i.e. unarguable. “Indefensible” therefore suggests that anybody who advocates for an application deserves a wasted costs order, whereas “few people think” (if it is true) merely indicates that it’s going to be hard to get a court of public opinion to accept one’s argument. There is a world of difference between “indefensible” and “few people think”. I think you are displaying what has become known as chronological snobbery myself. Not to say, sending a clear message that good citizens only need to abide by laws that they imagine will remain on the statute book in some future utopia of their own imagining.